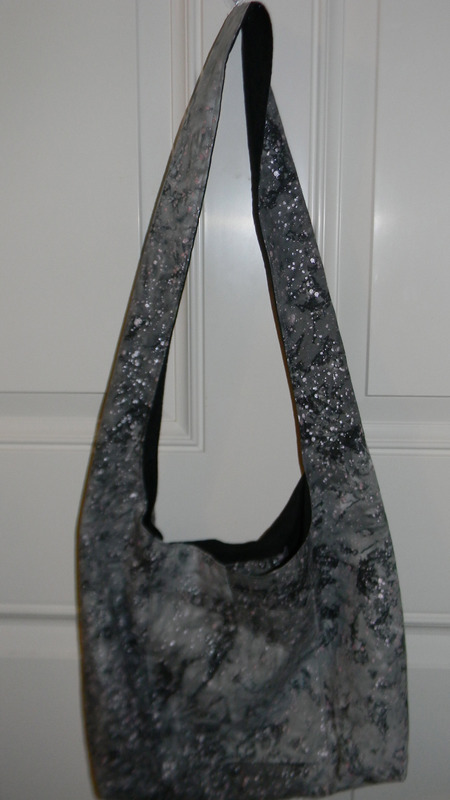 This pattern is from my post “I Love Scraps“. I wanted to do one in shades of a color and settled on purples. 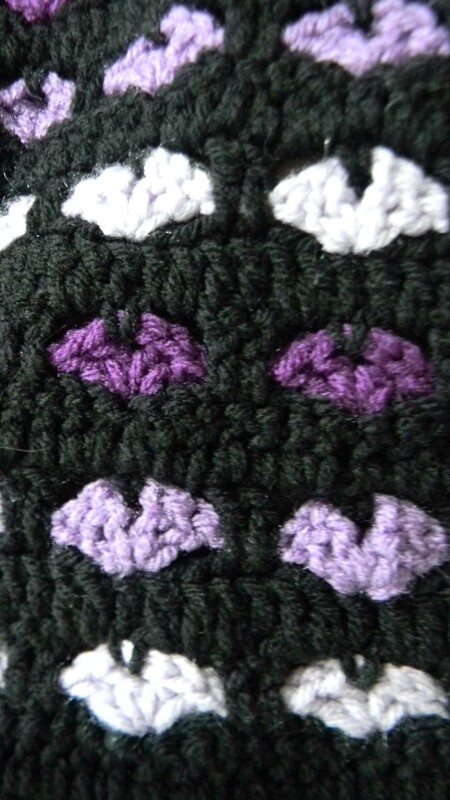 I used Red Heart Super Saver yarns in black, Pale Plum, Medium Purple, and Dark Orchid. There is one other purple that would have been great, Orchid, but JoAnns did not have it in stock. I made this afghan 48″ x 64″ and crocheted a single crochet border around the whole afghan. 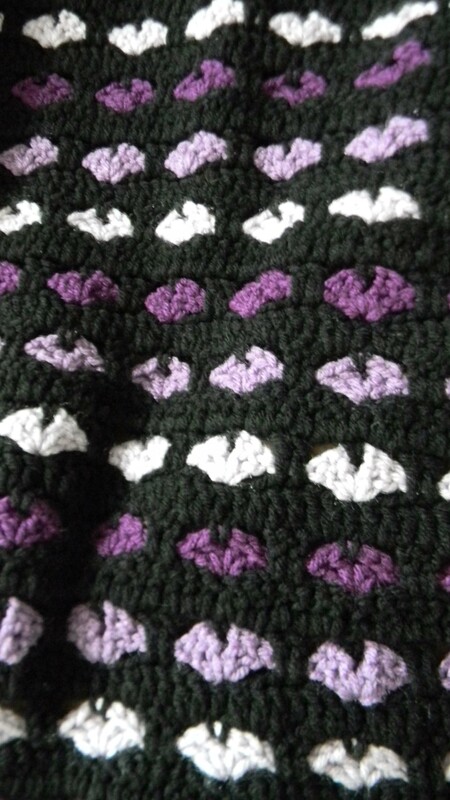 The next one I make I am planning on putting an extra row of double crochets between each heart row and not joining the way the pattern tells you. 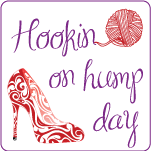 When you are done you have a mass of knots to tie and then have to bury your threads. I don’t like the way this turns out and that is why I did a row of single crochets around the finished afghan. This afghan will be on sale on my Etsy website in the future and proceeds will go to Nana’s House Children’s Home. 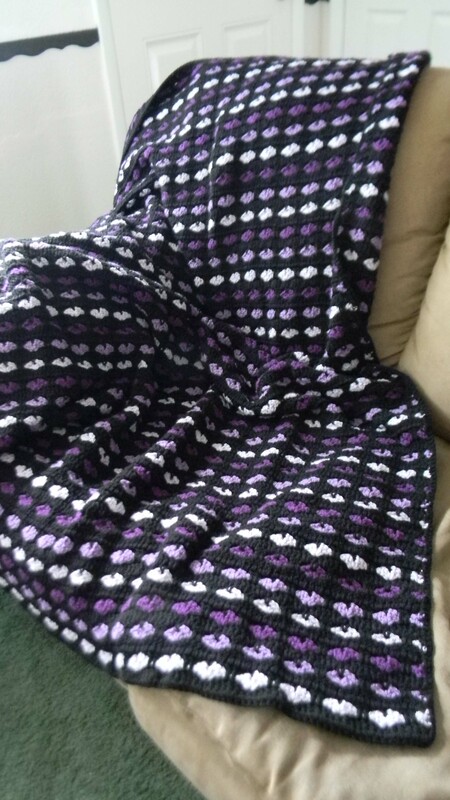 This entry was posted in Afghan, Crochet, Posts and tagged Afghan in black and purple, Crochet Afghan Free Pattern, I love scraps afghan. Bookmark the permalink. Thanks, this is an easy pattern and can’t wait to try other colors.